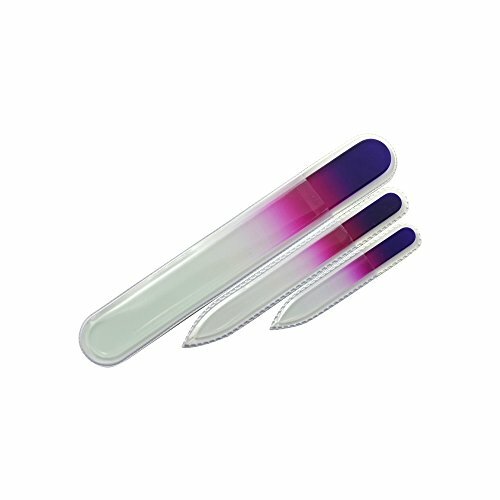 This file set by 95 & Sunny is Czech Republic made tempered glass. They are guaranteed to never wear out or wear down. They can be use on natural or artificial nails. 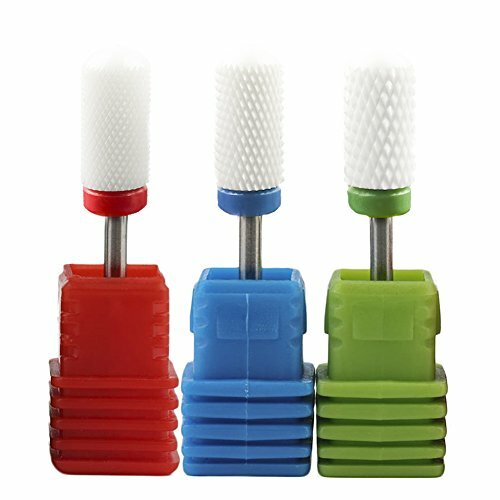 Continued use reduces chipping, peeling and splitting of natural nails. Won't tear or harm delicate skin - safe for diabetics and babies. Filing surface is non-porous, double-sided and permanently etched into the glass. Board certified in every state for manicurists. Made from float glass, the same process used to produce wine goblets and crystal vases. Environmentally friendly - NO LEAD is added or chemicals used during the manufacturing process. Tempered and hardened for durability and safety, 102% stronger than standard glass. Each file comes with a protective sheath. 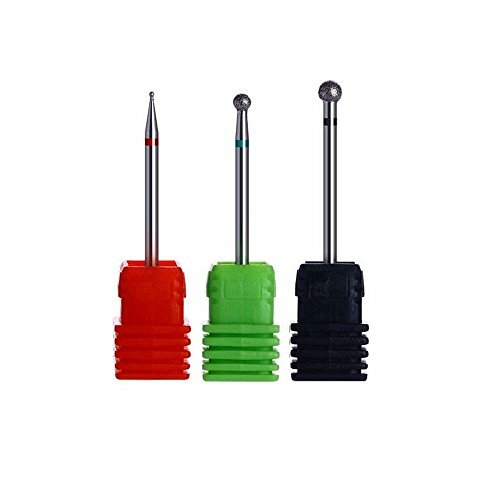 ●Specification: ※ Material: diamond ※ Color: Red/Green/Black ※ Weight: 5 g/pc ※ Size: Medium ※ Diameter: 1.0mm/3.0mm/4.0mm ※ Design: Manicure Machine Drill ●Features: ※ Antibacterial. ※ No clogging. ※ Resistance of acid, alkali and heat. ※ Suitable for professional home use. 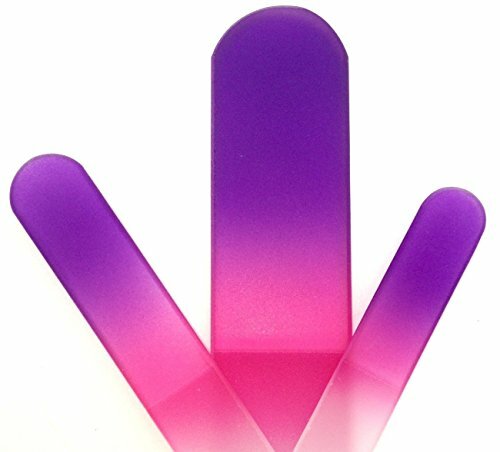 ※ Excellent durability and cutting performance. 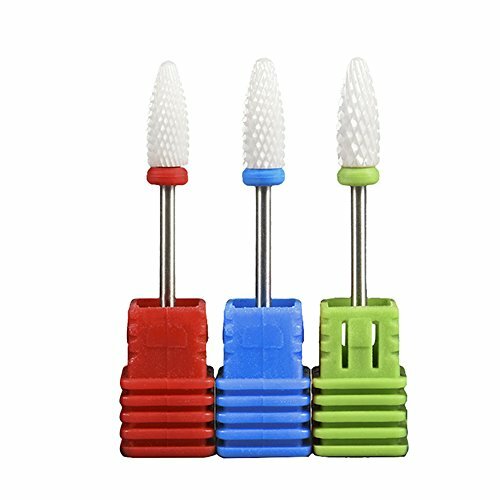 ※ Can be used on natural nails or fasle nail tips. 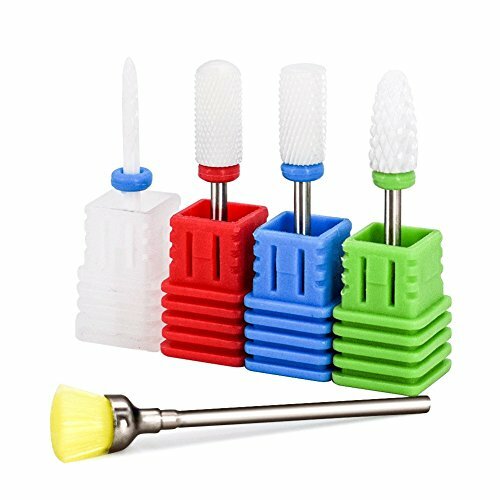 ※ Ideal nail art tool for manicure and pedicure. ※ Unusual, eye-catching appearance for easy identification. ●Notes: 1. Pls allow a little size deviation due to the manual measurement. 2. Pls allow slight color difference due to monitor's brightness and contrast settings. 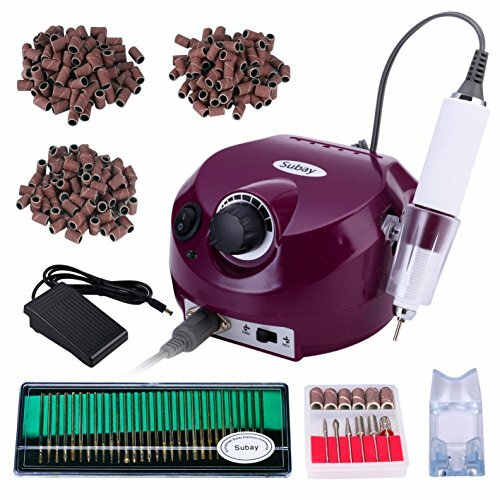 Professional electric Nail Drill Machine with Foot Pedal control which is great for all types of nail work from sculpting, buffing, to polishing. Specification: 1. Hand Piece Weight: 4.91 oz 2. Voltage: 110V (not apply to 220V) 3. Output Rated Voltage: DC3-18V 4. Rated Power Input: 18W 5. Speed : 0-30,000 rpm Features of Sanding Bands : 100 pieces of Sanding Bands with degree 80" 100 pieces of Sanding Bands with degree 120" 100 pieces of Sanding Bands with degree 180" Medium Coarse design Suitable for manicure as well as pedicure Great for use nail drills and other drills using sanding bands Can be used for natural nails as well as artificial nails For professional studio use or home use Package includes: 1 x Electric Nail Drill Machine(Power Supply & Control) 1 x Handpiece 1 x Silicon Stand 1 x Foot Pedal Power Control 6 x Metal Grinding Drill Bits 6 x Sanding bands 1 x User's Manual 30x Burrs Nail File Drill Bits Set 100x Sanding Bands with degree 80" 100x Sanding Bands with degree 120" 100x Sanding Bands with degree 180"◆Warm Tip: In order to extend the machine life, you should turn off the main board power when changing the nail drill bits. 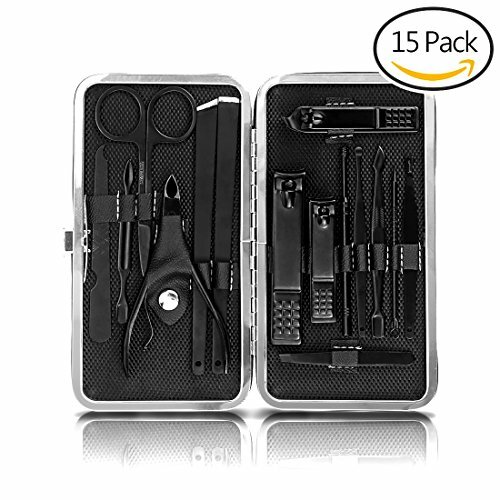 JamBer Nail Clipper Professional Manicure Pedicure Kit for Travel & Grooming Kit 15 in 1 Main Features: The JamBer nail cliper set come with 15pcs, all the tools you need to make professional manicure and pedicure. Durable and stylish leather case, It is portable and lightweight so you can carry it with you in your bag everyday or pack it with you anywhere for trip or travel. Eesy on and off for a push of a button design on the manicure pedicure sets. Useful and practical, it is a great gift for yourself,families,friends wemen and men! What You Get: 1synthetic leather case included 1x Large nail clipper, 1x medium nail clipper, 1x oblique nail clipper, 1x manicure plier, 1x knife knife, 1x oblique knife, 1x acne needle, 1x scraper, 1x nail file, 1x double-headed pick, 1x eyebrow clip, 1x dig ear spoon, 1x spiral Ear spoon, 1x dead skin fork, 1x eyebrow cut. 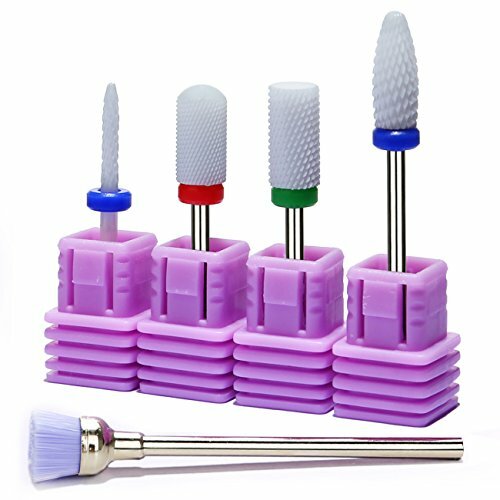 OUR WARRANTY: JamBer 15 Piece Manicure Set is a great gift for women and man. We are sure you love it. And we offer complete MONEY BACK GUARANTEE if you are not completely satisfied. 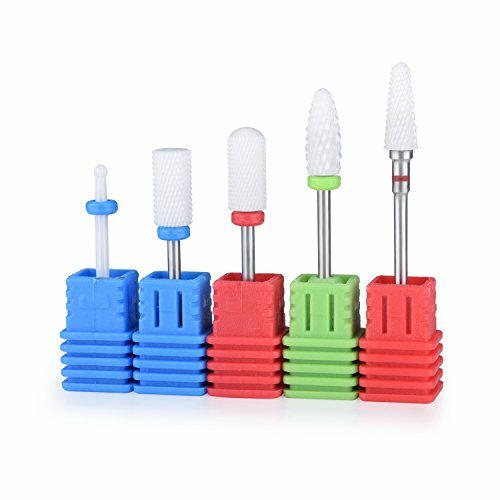 Copyright © Wholesalion.com 2019 - The Best Prices On Medium Manicure Set Online.